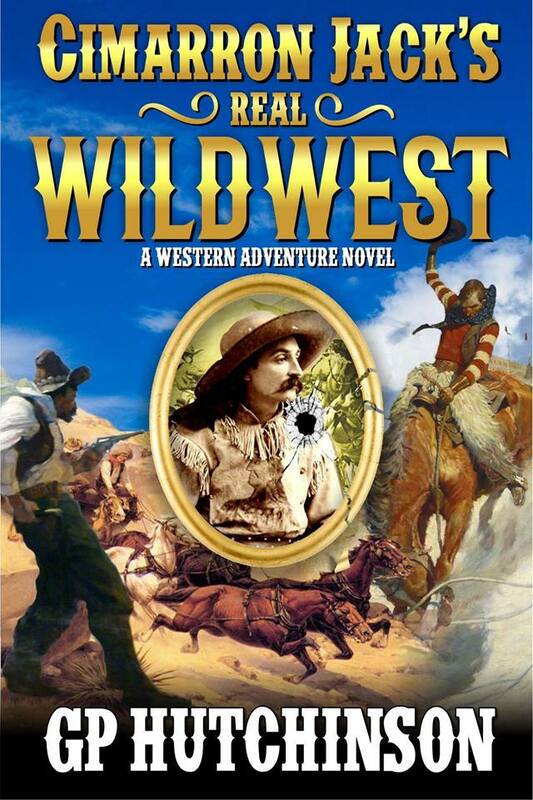 The following is a brand new review written by a reader who enjoyed “Cimarron Jack’s Real Wild West” from GP Hutchinson. This review, which can be read right here, gives insight into the way people feel about Hutchinson, and his writing. If you haven’t picked up a copy of this great new release– why are you waiting? Read the review below! GP Hutchinson has sent the stage for many spin-offs for his outstanding characters. I especially liked the depth and breadth of lead character Jack Wheatley. He’s a chivalrous man of honor, a clear representative of good (versus the evil portrayed by the villainous bad guys). Jack had good instinct for the unfolding action and his need for leadership. I loved the date of 1888. It made me imagine my great-grandparents, who were five years away from their wedding date! GP started immediately with conflict, high drama, and action — given a literal train wreck. As always, GP Hutchinson knows how to use vocabulary, i.e., spate, augur, nocked, thwack, clambered, ruminations, compunction, chirked, farcical, inimitably vivacious, thornier, sonorous, irked, wince, etc. I particularly liked the jargon which was unique to the Old West, i.e., hip-cocked, sinewy, all horns and rattles, sweet Jezebel, chucklehead, chuffing, old palaver, hellcat, Montgomery Ward cowhands, dry gulch (as a verb), owl hoots, smoke wagons, lunkhead, jig-jagged, staring blankly into nowhere, tighter than a lid on a Mason jar, shuck out, spewing folderol, skittering, etc. I smiled when I read this sentence: “Holgood let loose a string of highly descriptive profanities.” GP writes without profanity! I am grateful for his discretion. Here is the most incredible sentence of the entire novel: “From his vantage point beside a cluster of wild plum bushes atop the ridge beyond the falls, Amnon Gundry watched through his field glasses as Jack Wheatley’s outfit got to their feet.” Now, that is CRAFTING of a sentence! GP did an excellent job of leaving the reader repeatedly with cliff hangers at the ends of chapters. I appreciated the growing sense of the love relationship between Jack and Amelia. She’s a fiery character, too. For that matter, all of the female characters were strong women, and I liked that. Sarah Anne added a unique “love triangle” element. “Juniper took aim with the flaming arrow. “Jack kept his eyes on Liluye. “A hush fell over the crowd. “The warrior let the arrow fly. “Hm,” Jack glanced at Billy. Red herrings were thrown in our path to keep us guessing about mysteries to the very end! At the beginning of Chapter 36, I actually drew a schematic of the furnishings inside the Prairie Dog Saloon, since GP was SO CLEAR in describing the interior! It’s no wonder that some of these people in gunfights (particularly Adelia) would experience PTSD! Once I got to Chapter 40, it didn’t take me too long to finish the book, given the tempo of the action!! And so additional adventure with this Wild West troupe begins!!!! !